As a practising dentist with more than twenty years experience I know that one of the clinical conditions that trigger an unwanted amount of stress and anxiety is when patients are told that they need a Root Canal Treatment, or simply a Root Canal. This is mostly because the dental pathologies that require a Root Canal are often associated with a certain amount of discomfort and occasionally severe pain. And at times it is often unclear who will perform the required treatment. Some general dentists are happy to do root canal treatments themselves, while other prefer to refer those patients to an Endodontist or some other Root Canal specialist. 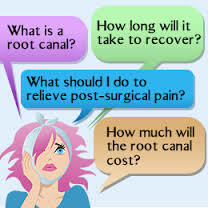 I have created this simple website to explain in a plain and jargon free language when a Root Canal Treatment is needed, what is all about, and the options available. It is not intended to contribute to the scientific aspects of Endodontics in any way, but it is destined to patients in search of some directions in a field where the amount of information is huge but often contradictory.